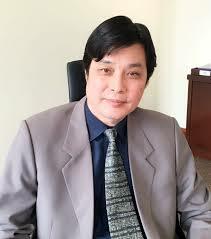 Maybank Group’s new Chief Compliance Officer, Daniel Wong Liang Yee is a graduate of Universiti Kebangsaan Malaysia. 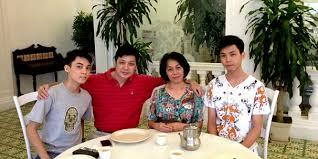 The father of three teenage boys had an impressive career in the Malaysian financial industry for 21 years before accepting a transfer to Singapore, where he spent the last five years working and living alone while his family remained behind. Recounting his experience living abroad, Daniel admits that he felt quite lonely living without family, but it did not bother him much, as he was always busy at work. “Time flies by when you don’t count it,” he said. As expected, the choice to return home came with its own set of challenges. “I have a much bigger team to manage in the new organisation,” said Daniel, explaining that his new role involves developing stronger compliance strategies to meet increasing regulatory requirements, both in Malaysia and countries where the financial giant operates. “I hope to make a lasting impact in the area I serve and in the process, groom some future winners and leaders,” said Daniel, who also intends to take opportunity of his new role to make a difference in the industry. Daniel said that he understands that Malaysians living overseas have difficulty deciding between remaining abroad and returning home. “More hands and minds are needed to make the country shine again,” said Daniel, encouraging overseas Malaysians to pick the choice of coming home. “With the infrastructure and human capital we have, plus the additional talents we can bring back, it is possible for us to regroup, rejuvenate and revive the country’s economy,” he added. Ultimately, Daniel believes that home will always call to those abroad. If you are a Malaysian professional abroad and would like to get connected to opportunities in Malaysia, get in touch with us today.